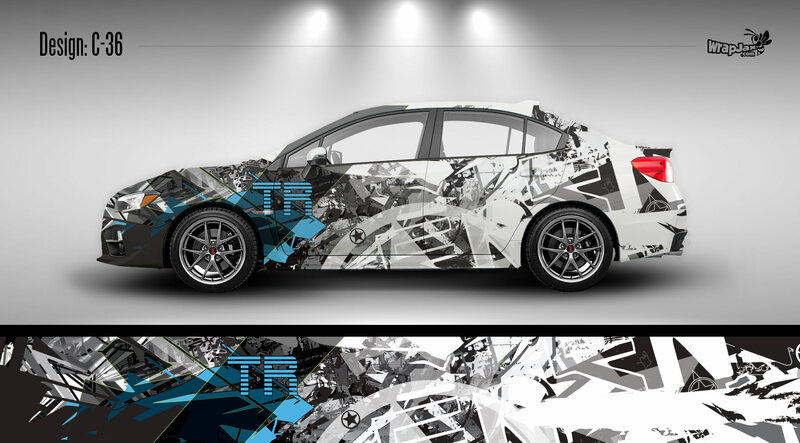 Our customizable series of Car Wraps by WrapJax are a flexible, reliable and stylish way to wrap your vehicle. 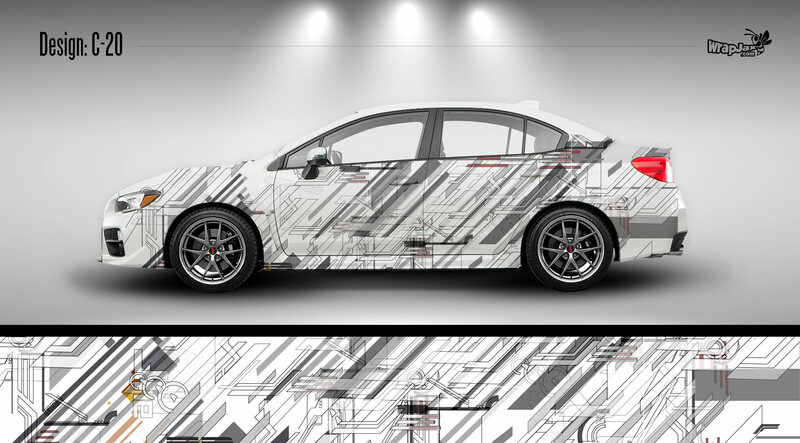 These designs are scalable to fit a variety of cars ranging from small cars (i.e. Mini Cooper) through medium sized vehicles (i.e. 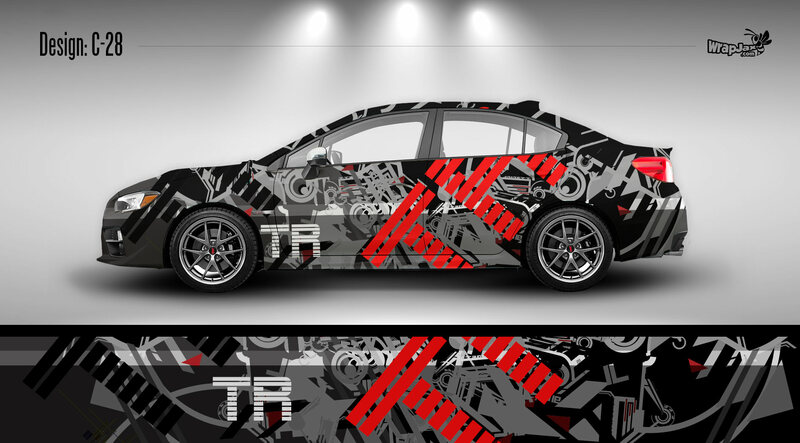 Audi A4) and larger sedans (i.e. 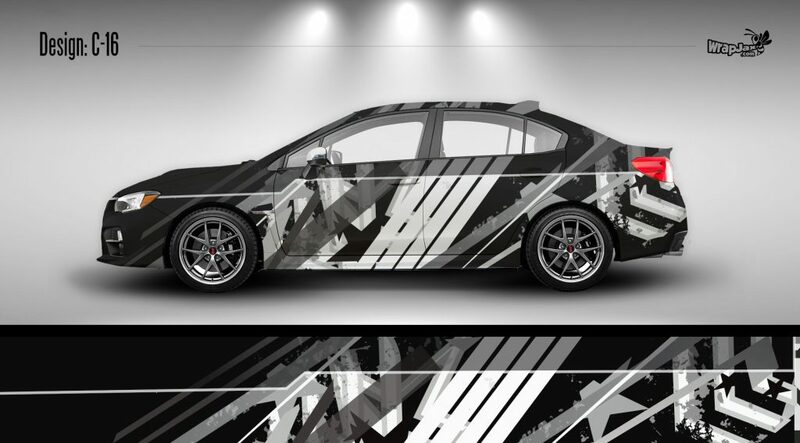 BMW 7 Series). 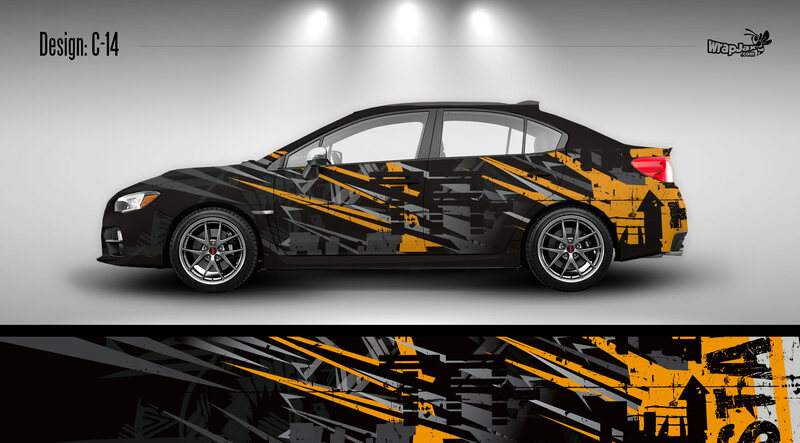 Our layouts allow you complete flexibility to change colors or edit elements that you may wish to resize or omit on your particular make & model of vehicle. 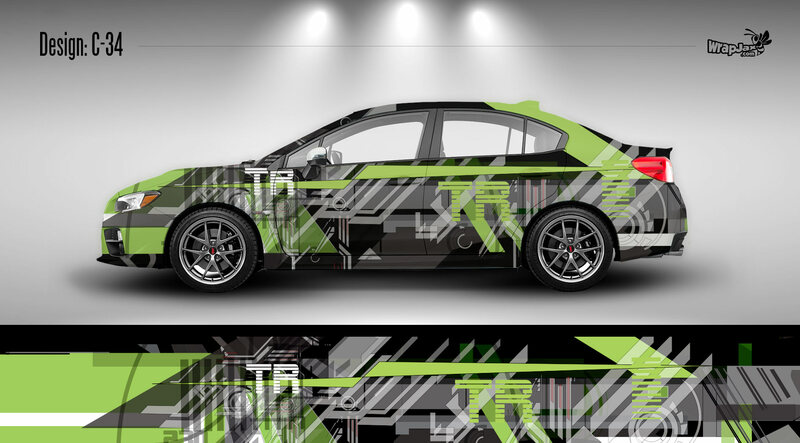 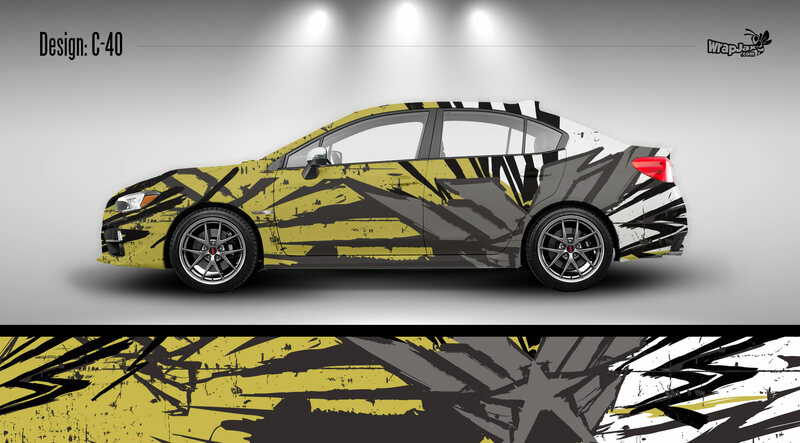 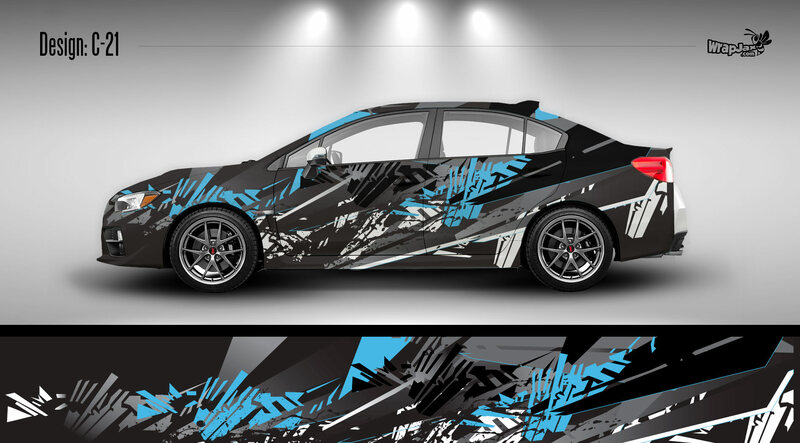 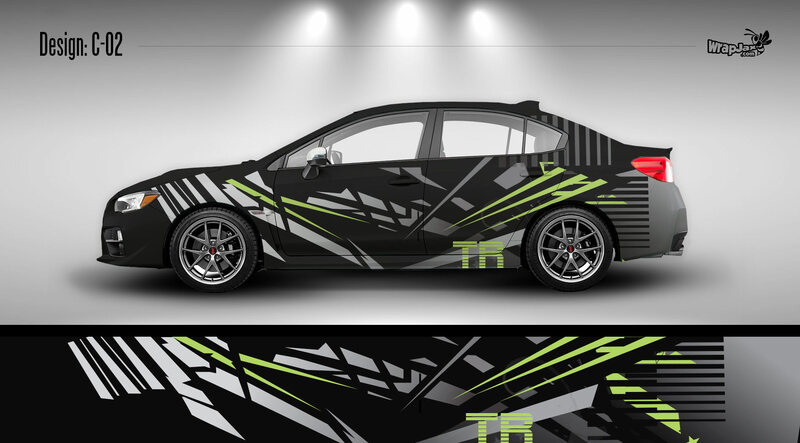 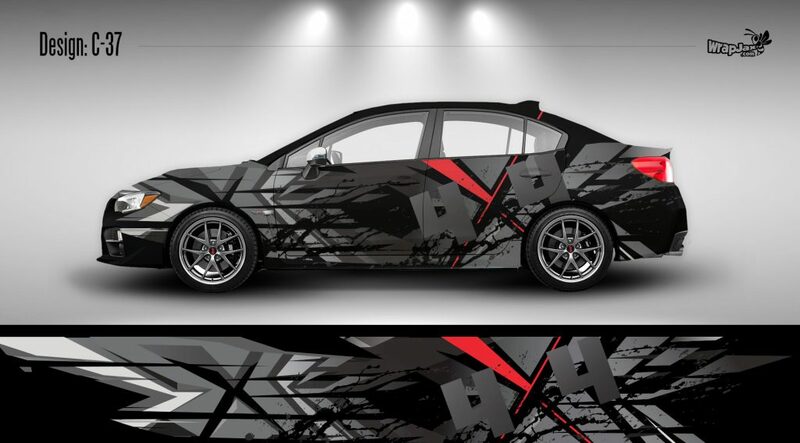 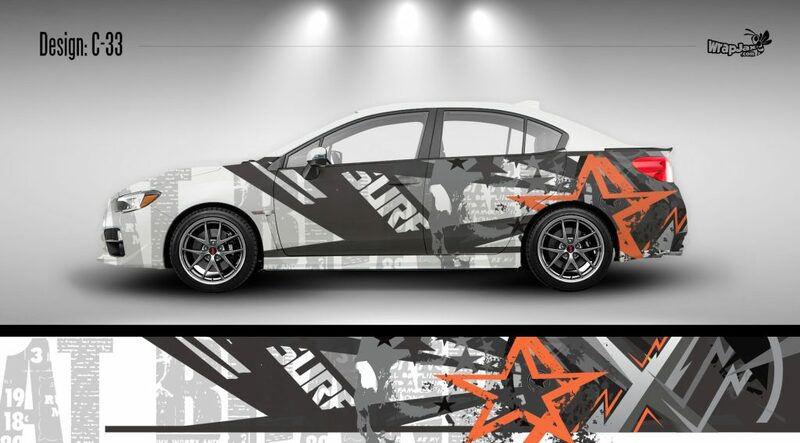 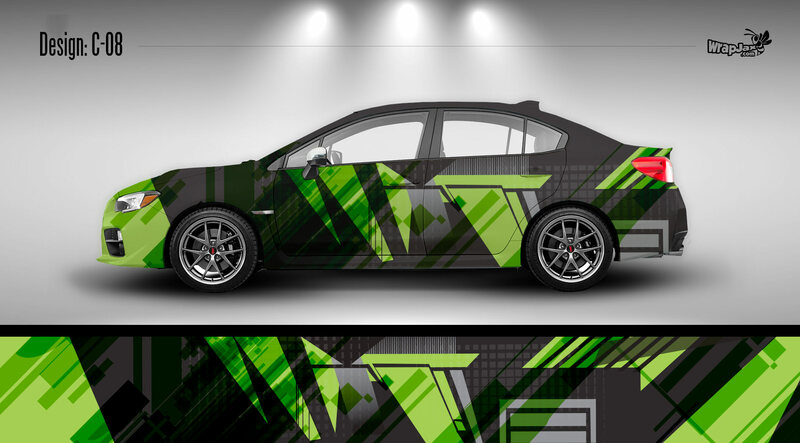 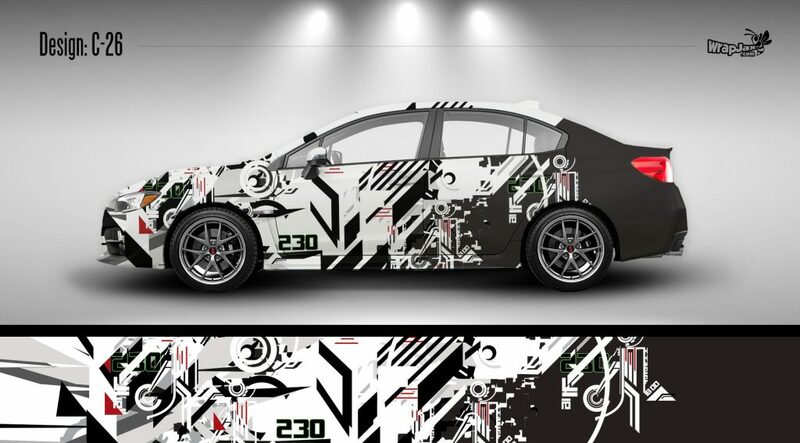 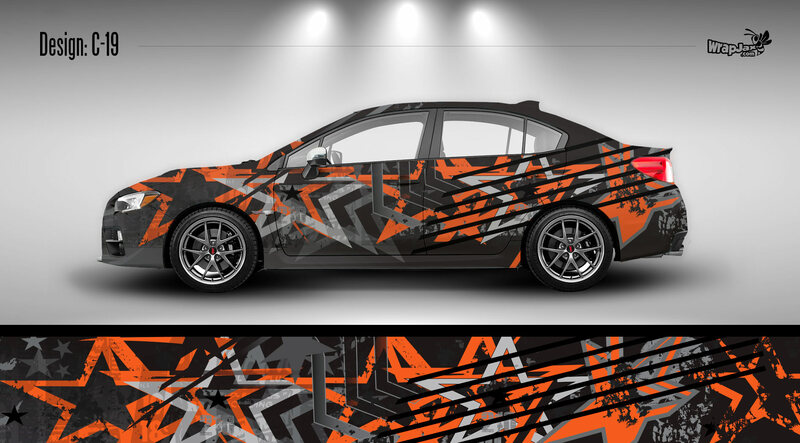 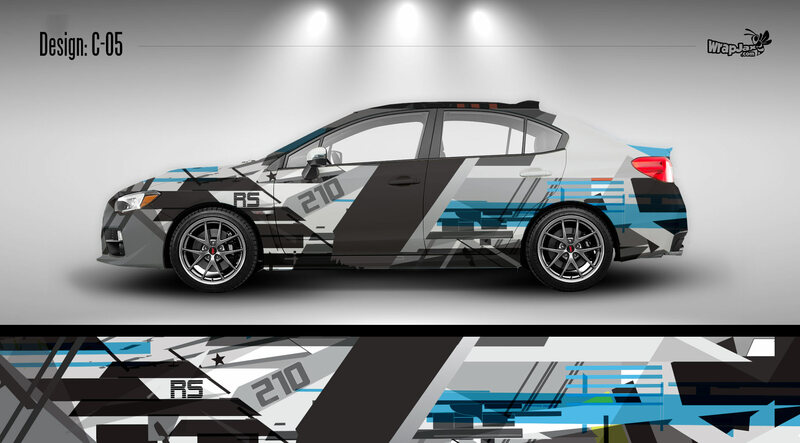 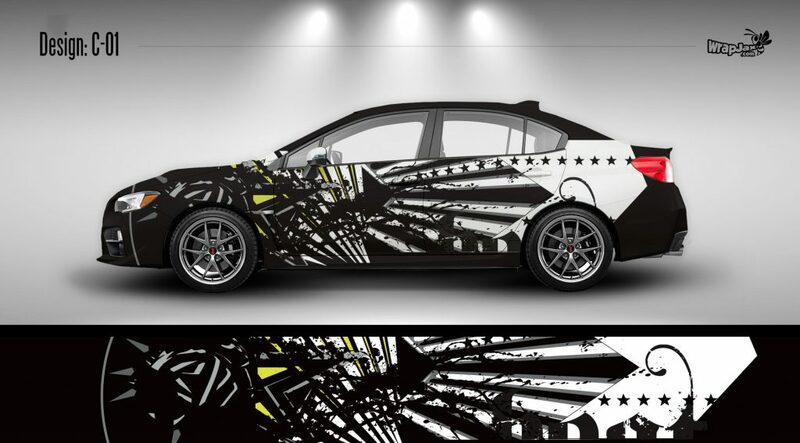 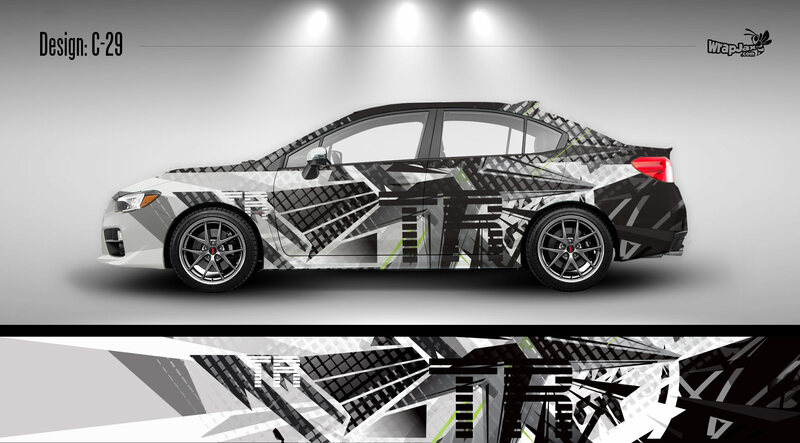 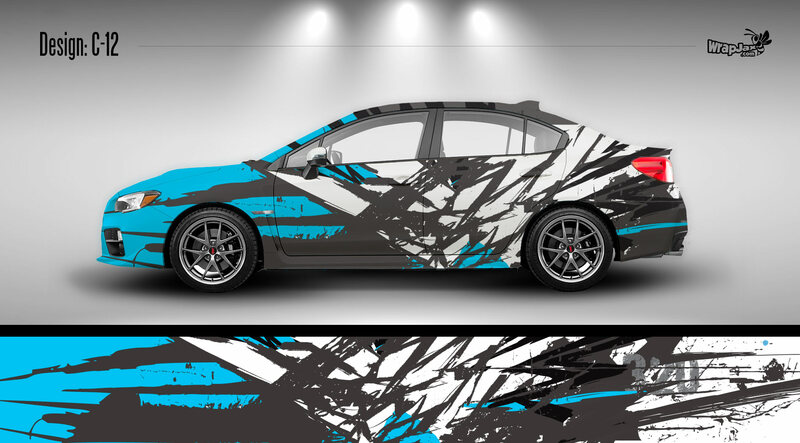 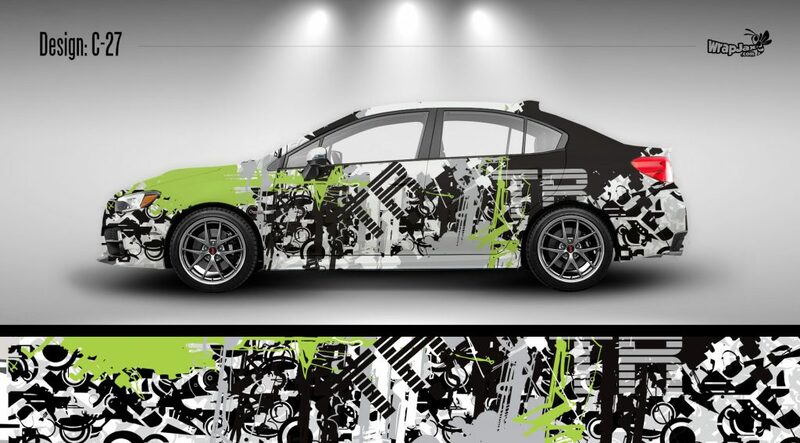 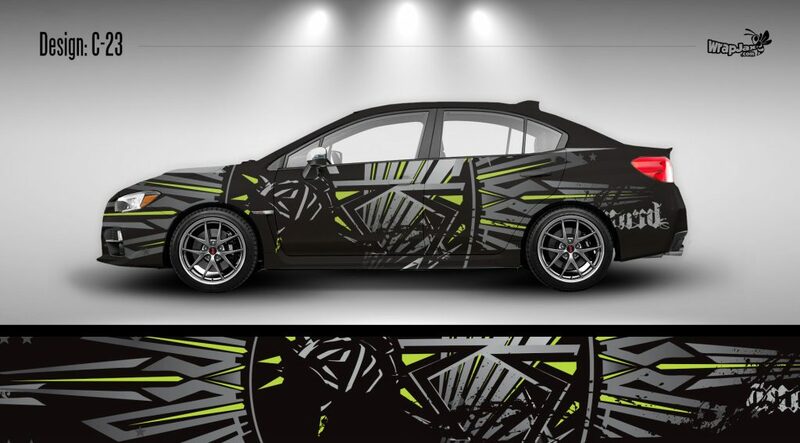 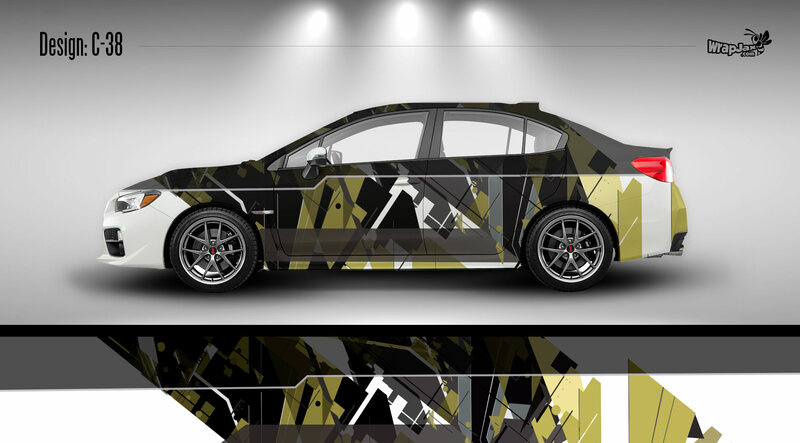 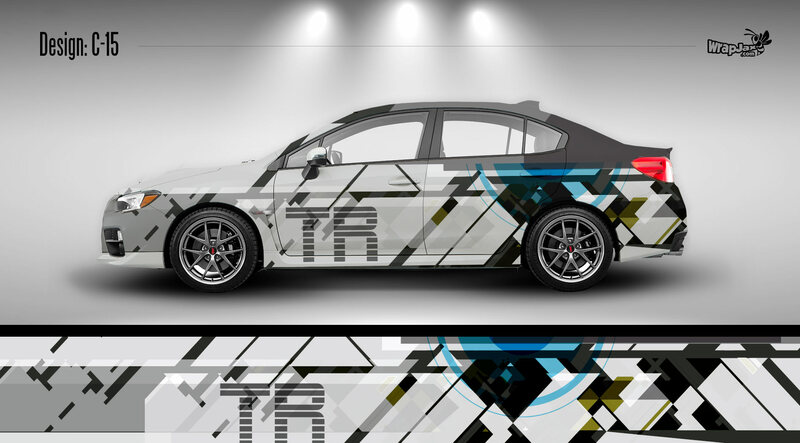 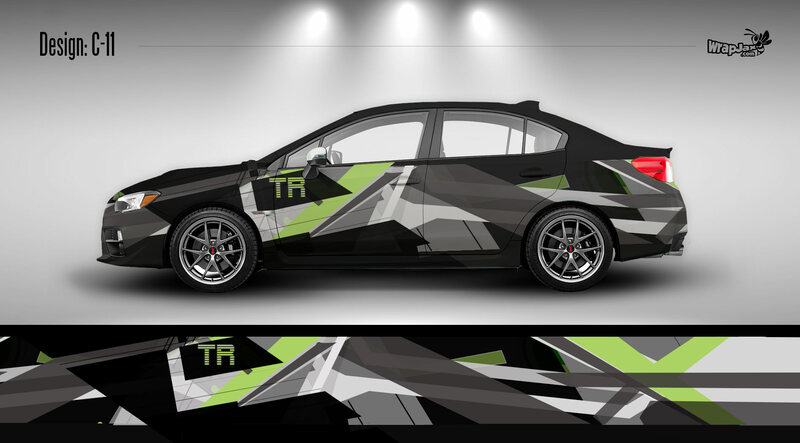 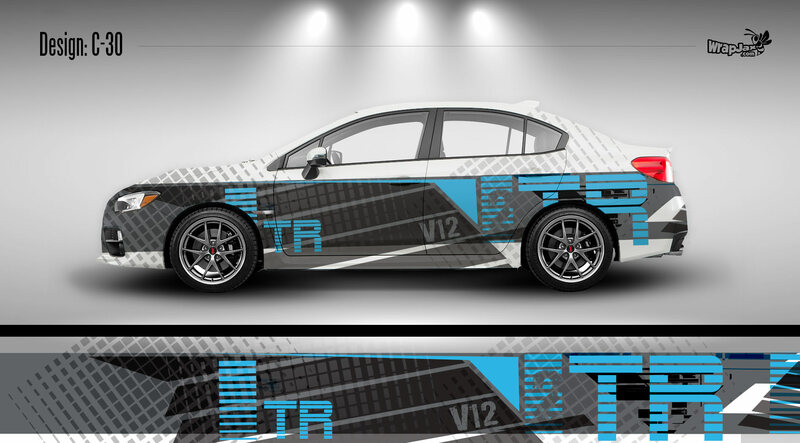 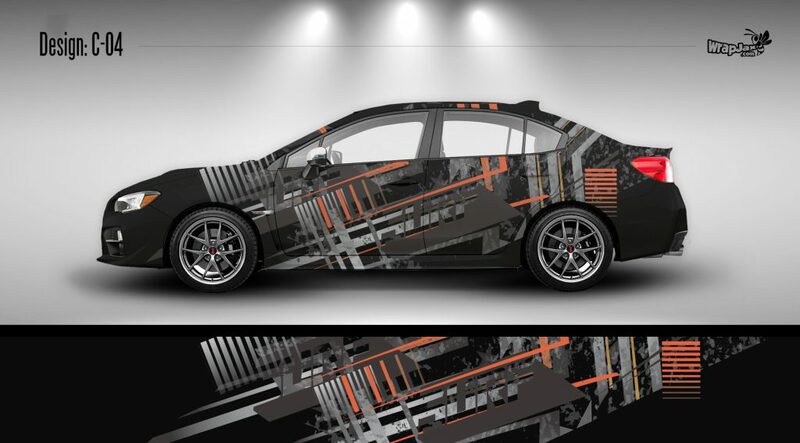 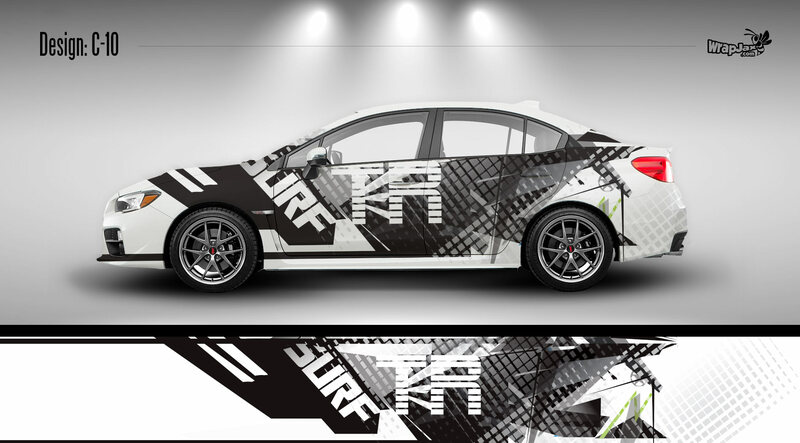 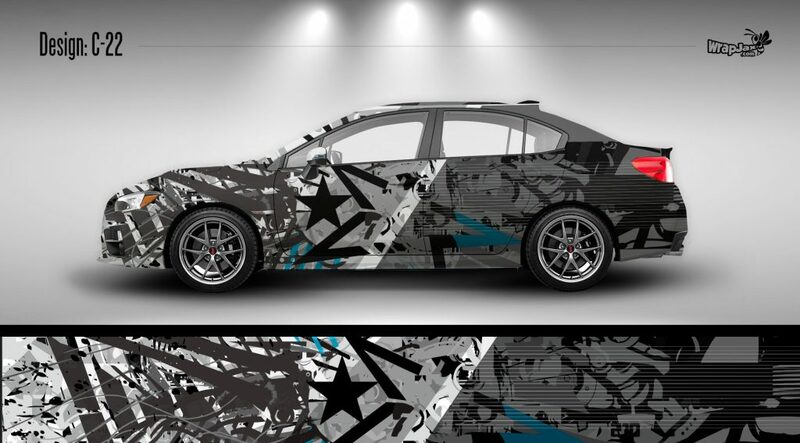 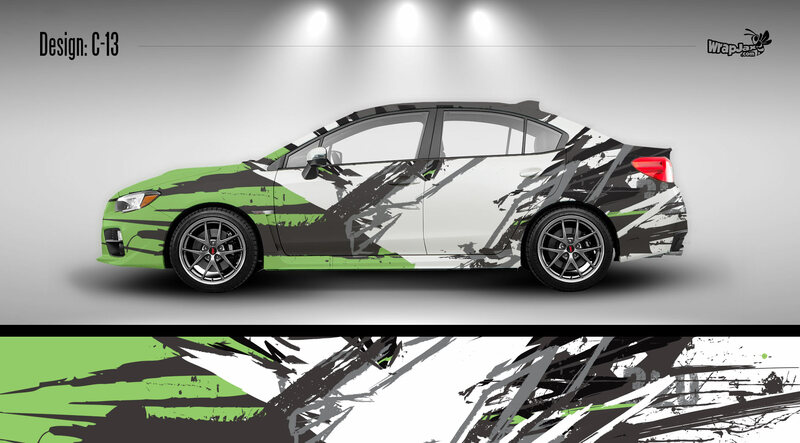 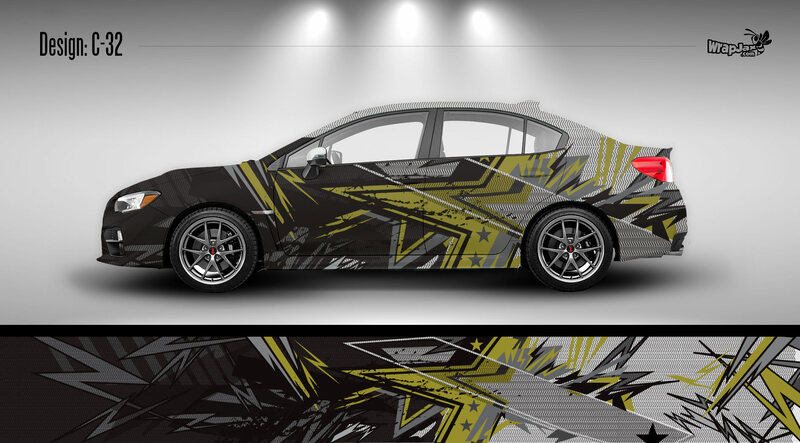 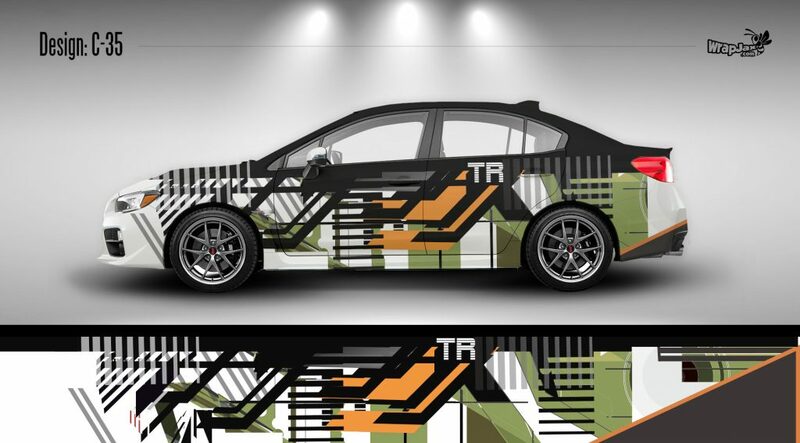 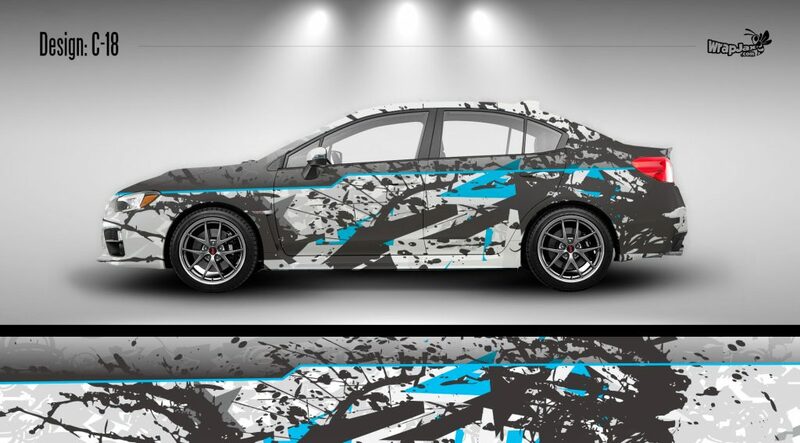 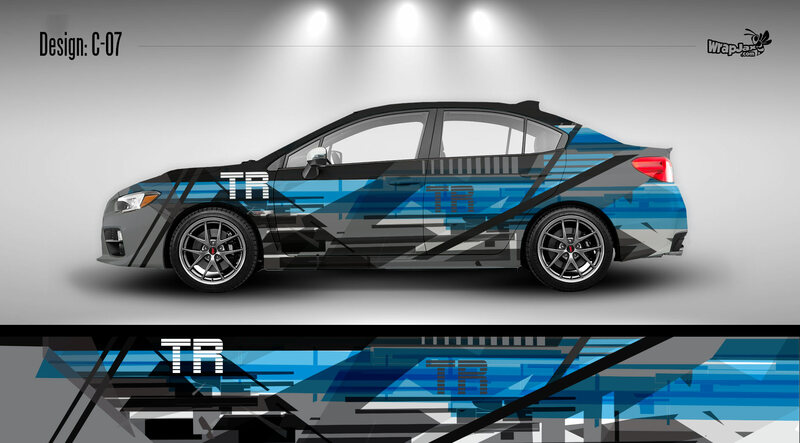 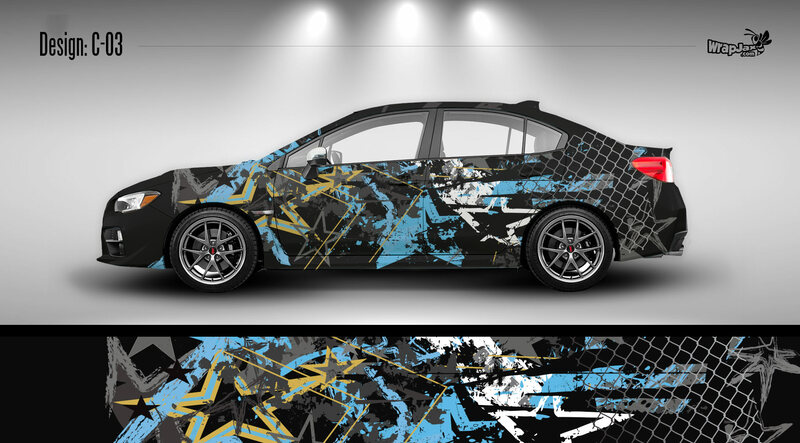 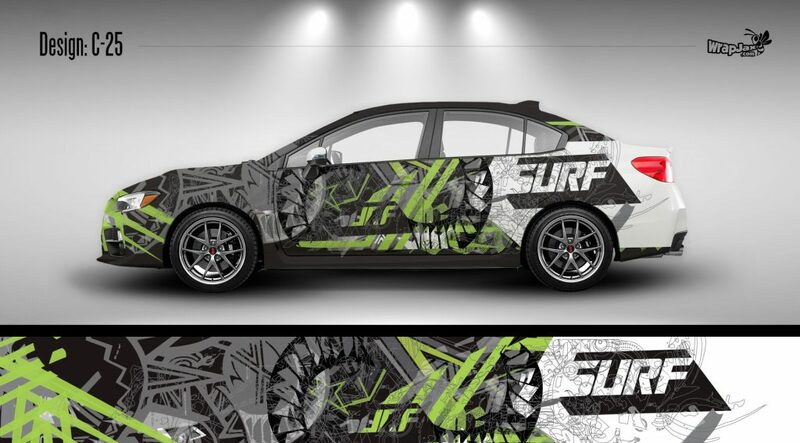 Since the design work has already been done, these stylish layouts are a cost effective approach to a custom designed “One Off” vehicle wrap but still allow for custom modifications to be made that enable us to make your WrapJax vehicle wrap entirely unique to your tastes. Standard pricing on all these designs are based on your particular make & model of vehicle, however we have listed some sample pricing to give you an idea of cost based on the size of your vehicle category. 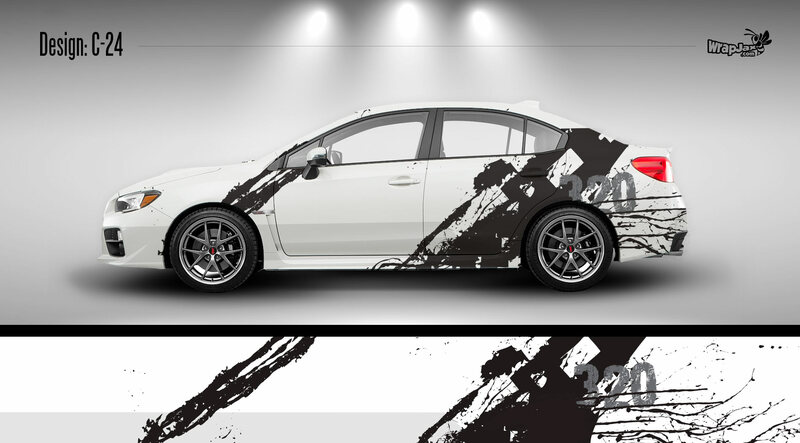 Pricing includes roof coverage with your choice of matte or gloss black or matte or gloss white. All wraps come standard with gloss finish. 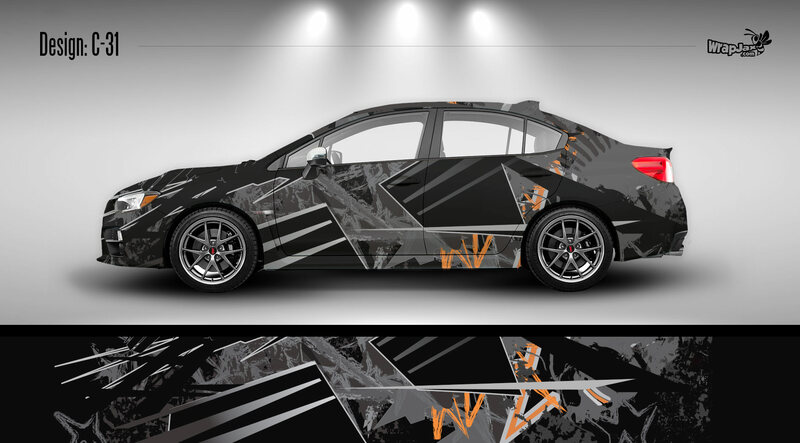 Matte or Satin finish is also available for an additional charge ranging from $395-$595. 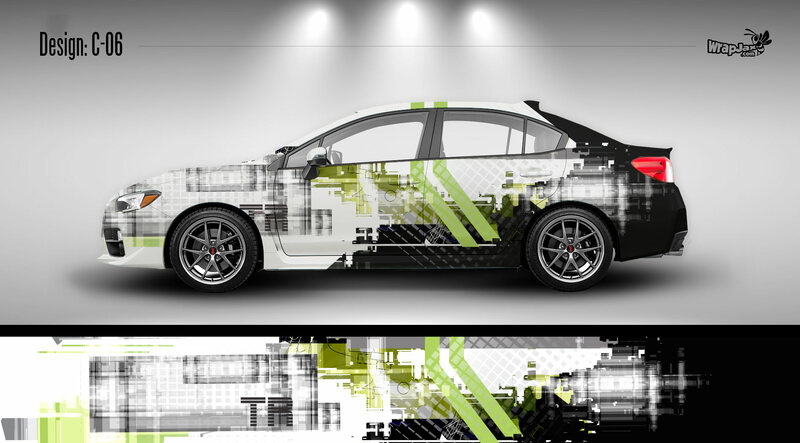 *Pricing does not include sales tax. 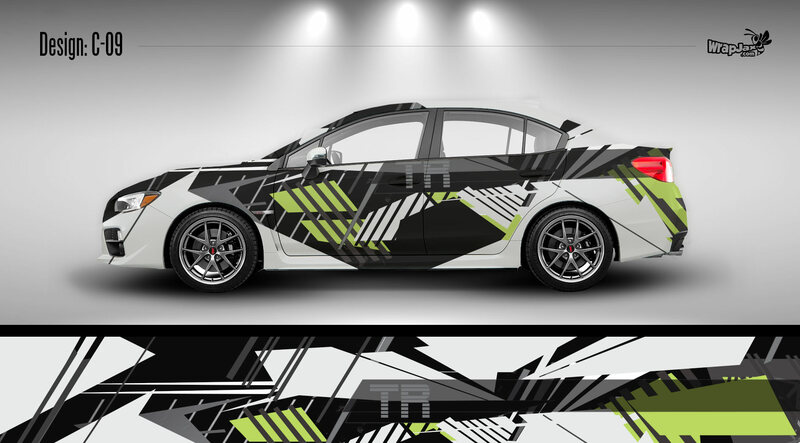 Pricing does not include door jams and is for coverage of painted surface areas on exterior of vehicle only. 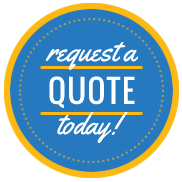 Customers requiring a chrome delete will need to request a separate quote for pricing on this item. 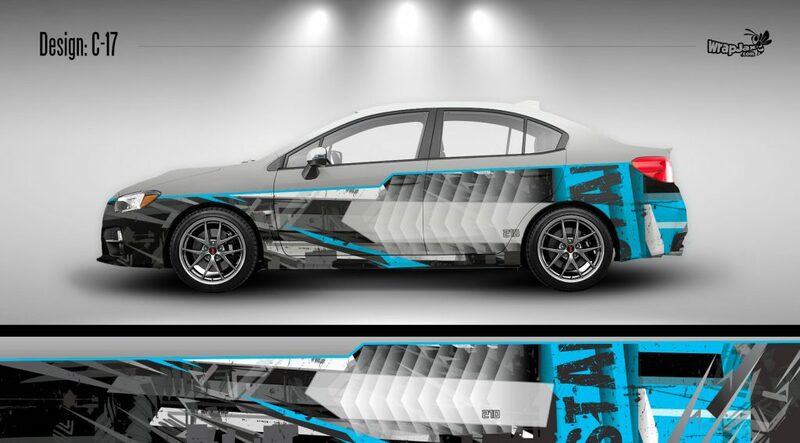 Inclusion of mirrors and door handles are at the discretion of your WrapJax Dealer (Additional charges may apply based on complexity). 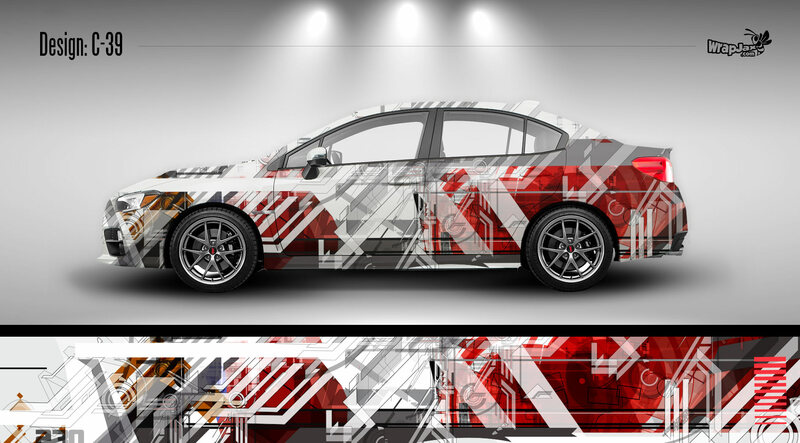 Designer time exceeding 2 hours will be billed at a rate of $85 per hour.